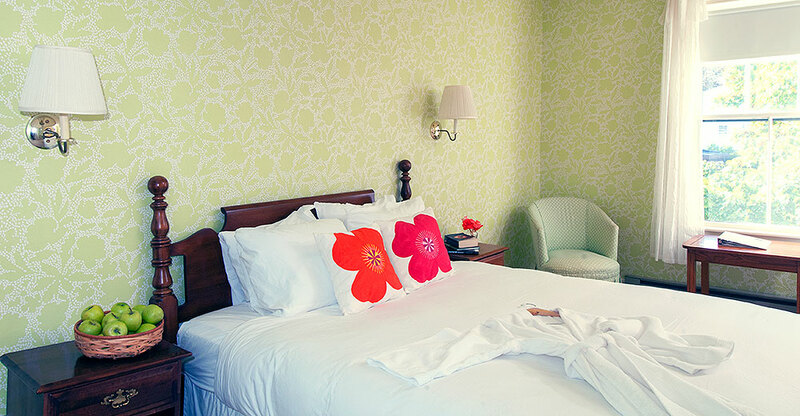 A charming room with an antique cannonball bed, Italian linens and a lofty duvet. The newly hung French wallpaper is bright and cheery. There is a quaint claw foot tub and shower in the private bathroom.